A Writer's Bookshelf: Summer of a Million Gifts! Summer of a Million Gifts! 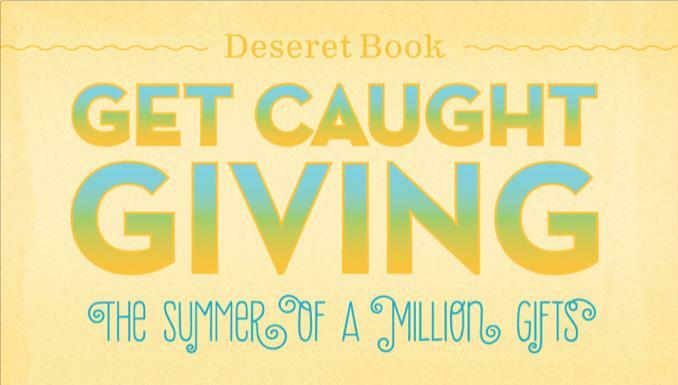 Deseret Book is looking to give back this summer with its Summer of a Million Gifts. The store’s customers can anticipate random daily in-store gifts and an opportunity to win one of three grand prizes. In June, one lucky customer will win an 8-day Caribbean Cruise with Alex Boye, British-born LDS singer and songwriter, courtesy of Morris Murdock Travel. In July, another will win a missionary wardrobe courtesy of Mr. Mac. And in August, one couple will win a wedding reception courtesy of Temple Square Hospitality. The giving will take place online and in person at every store throughout the summer months. Each day on Deseret Book’s official Facebook page and in Deseret Book stores, an associate will give a gift to at least one customer a free pass to Lagoon theme park, double Platinum points, a free book at check-out, an act of service, or some other free prize. 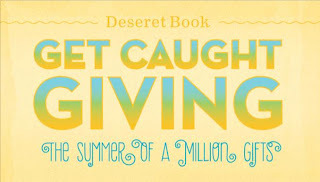 More information about the Summer of a Million Gifts can be found online at DeseretBook.com, on Facebook at facebook.com/deseretbook, or in any of Deseret Book’s retail locations.